Mara Galeazzi, principal dancer with The Royal Ballet in London, created Dancing For The Children to raise and distribute funds to help children around the World. In 2007 Mara and friends from The Royal Ballet danced charity galas in Pretoria, Cape Town, Nairobi and Mombasa. These were generously underwritten by an anonymous donor. The funds from those galas were distributed amongst local charities both big and small, particularly those that help under-privileged children explore the joys of dance and those that help to fight the spread of diseases, such as AIDS. “I really believe in this initiative,” says Mara, “I am proud to be able to help children who live a life less wealthy than we all live. We are very, very lucky living in a world of the finest things (like ballet) and I believe dance can speak a universal language and can help me and my friends from The Royal Ballet put something back into the world through workshops with the under-privileged children of this region and also generate funds for various local charities. ”I am very fond of dancing abroad with my colleagues, as we do in my own shows in Italy, ‘Mara in Motion’. We plan to return to South Africa with our Dancing For The Children concept. This is very important to me because it is part of a wider humanitarian aim. It makes me proud and fills me with emotion. 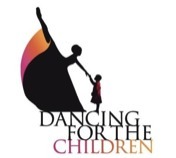 In 2010 and 2011 Mara organised Galas at Sadler’s Wells, ‘the home of dance’, to raise funds for these charities in Africa which 'Dancing for the children ' supports. In 2012 Mara took 'time out' to give birth to her daughter Maia !